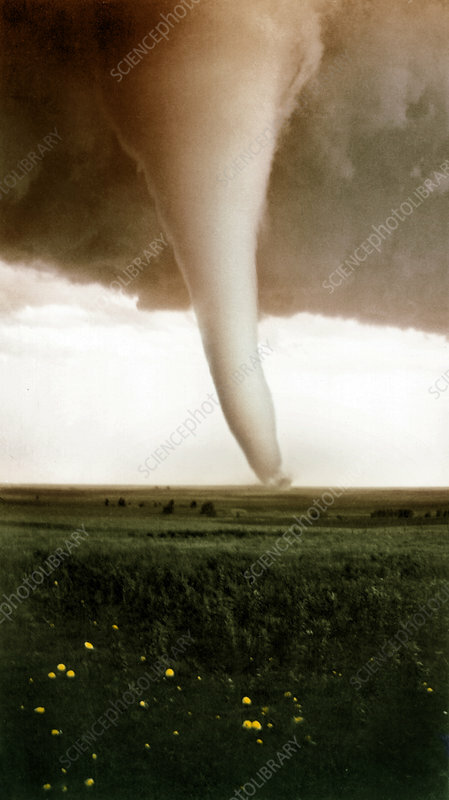 Colour enhanced image of a tornado funnel over Hardtner, Kansas on June 2, 1929. The image was taken from Mamie and Fay Rathgeber's farm. A barn and a house were damaged but nobody was hurt.